Can you believe it is already October? The leaves are falling, the weather is getting (somewhat) cooler, and pumpkins can be spotted everywhere. The holidays are upon us! I love the holidays! This is my favorite time of the year! As soon as September rolls around I am ready to begin putting out the Halloween decorations and starting planning Christmas parties. 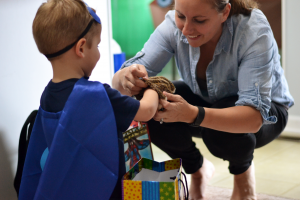 The holidays are truly a wonderful time of the year, but as moms, the execution of wonder and excitement often falls on our plates. We become the party planners, gift buyers, package wrappers, costume designers, menu planners, and candy organizers. 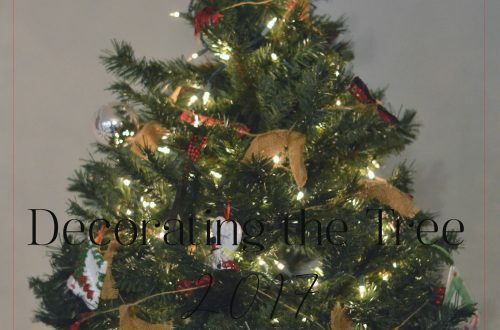 It doesn’t take long before the holidays are no longer “wonderful” or “magical” but rather are stressful and overwhelming. We don’t have to let the holidays turn us into exhausted, haggard elves. There is a way to enjoy the holidays, with our people, with out all of the stress and overwhelm. 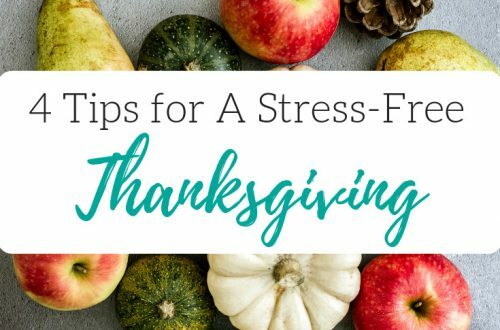 By taking some time to evaluate your goals for the holidays and to organize your plans can help you to actually enjoy the holidays again. We can be present, joyful moms again. We can spend time with our families instead of running around, at the last minute, trying to get everything done. 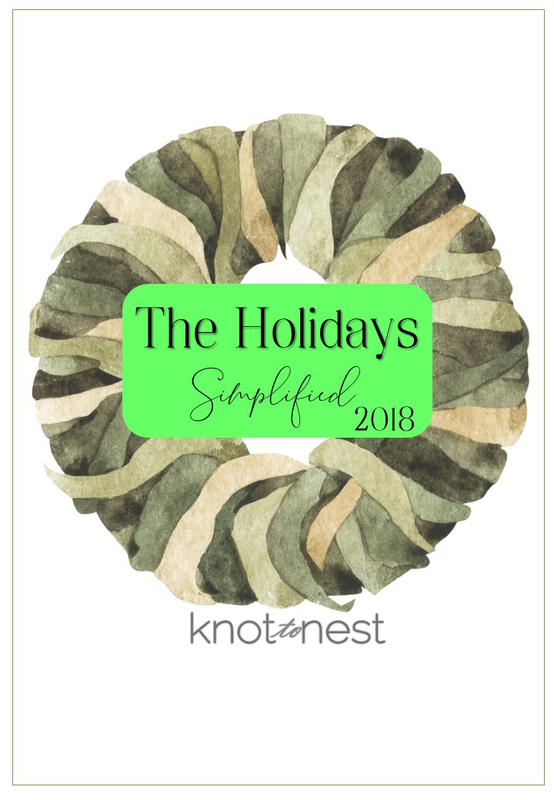 What I have created is The Holidays Simplified planner. 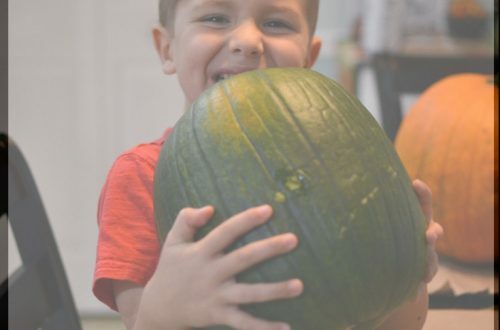 This isn’t just a date and time planner, but rather a resource that provides you step-by-step tools to tackle Halloween, Thanksgiving, Christmas, and New Year’s Eve with ease. 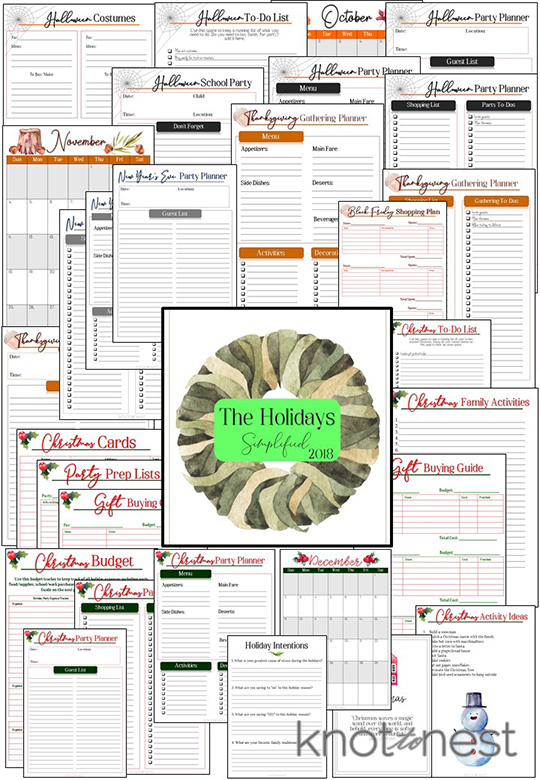 This planner provides you with tools to efficiently plan, shop and execute holiday parties, trick or treating, and gift buying. By using this planner you will be able to plan parties, stay on budget, and never forget to send candy into school again. If you are longing to actually enjoy the holidays with friends and family, grab your own copy of The Holidays Simplified planner. This planner is an instant download that you can print and use as it works for you. It will provide you will tools to plan for Halloween, Thanksgiving, Christmas, and New Year’s.